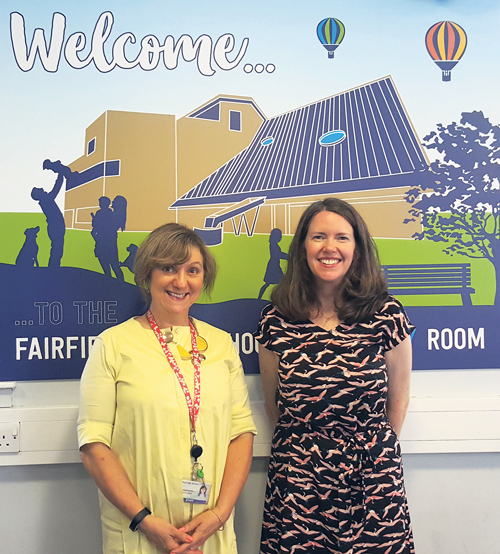 FHS were delighted to welcome Mags Patten, Executive Director of Public Policy and Communication for Arts Council England, to speak to 30 Year 10 students who are following creative options and may have an interest in pursuing a career in the Arts or Media in the future. Mags, who ensures the leadership and workforce in the arts, museums and libraries are diverse and appropriately skilled, was a truly inspirational speaker. Before arriving at FHS, Mags had a long telephone conversation with the Vice Principal in order to learn about the school, students, and exactly how they would benefit from her visit. As a result, the students were fascinated to hear her experiences, her reflections on herself at aged 14, the three things “I did right” and the three things “I did wrong”. She also showed great interest in getting to know the students; what media they watch and listen to, plus their ambitions and interests. “I found the talk really interesting especially with the realisation that you could start off with on job and go on a journey to another,” said Romany. “I learnt what was needed to get a job within the Arts and how determined you need to be,” said Maud. FHS thanked Mags for all her time, and also Robert Peston, founder of the education charity ‘Speakers for Schools’, which helps share unique insights, spark inspiration and create exciting conversations for students with big questions for individuals who have come to be a leader in their field or industry.